Saturday, August 25, Grace is hosting a dinner and variety show with performers from the congregation and its colorful Montrose neighborhood to raise funds to go toward the TX-LA Gulf Coast Synod’s goal of $150,000 for the ELCA Malaria Campaign. 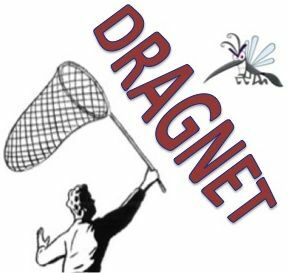 Since some of the funds will be used to provide mosquito netting, the idea of nets was tossed around and the theme “Dragnet” surfaced. The event, DragNet Follies, will interweave themes from the classic TV series of the same name, drag queen and king performances, and then just regular variety show fare. Interested performers should come to final auditions Saturday, August 4 from 12-2 p.m or contact Kris Aranda (713) 533-9474. The doors will open at 6:14 p.m. for dinner featuring deli sandwiches, inspired by Dragnet’s Officer Bill Gannon’s Mile High Sandwich. The show will start at 7:14 p.m. Donations of $15 are requested for the dinner and show and $10 for just the show. Beer and wine will be available. Reservations, though not required, are requested for planning purposes and may be made by emailing Bridget Jensen blj2@pdq.net or calling her at 713-417-2056. She is also coordinating volunteers to help with serving, set-up/clean-up, and other supportive roles. For many years, the ELCA has been building relationships with its companion churches in Africa and has been supporting clinics and programs in Africa to provide health care. Now it’s focusing on malaria. Malaria kills 655,000 people each year; most are children under five. That’s a child every 60 seconds. The 2009 ELCA Churchwide Assembly voted to begin initial malaria campaign activities in selected pilot synods. The 2011 Churchwide Assembly then voted to roll out the campaign on a national level. The ultimate goal is that every synod and every congregation will join the ELCA Malaria Campaign. In May 2012, the TX-LA Gulf Coast Synod officially launched its campaign. Monies raised in OUR synod will be directed to our synod’s companion synod, the Central African Republic (CAR).